Patricia Barbizet is a member of the board of Artémis, the investment company of the Pinault family, and Vice-Chairwoman of the Board of Directors of Kering. She stepped down from her role as the CEO of Groupe Artémis in December 2017. She started her career as International Treasurer in Renault Véhicules Industriels, and then as CFO of Renault Crédit International. In 1989, she joined the Groupe Pinault as CFO. She has been Chief Executive Officer of Artémis since its creation in 1992, and Chairwoman of the Board of Christie’s since 2002. She was CEO and Chairwoman of Christie’s International from 2014 to 2016. She has been serving on the Board of Total from 2008. 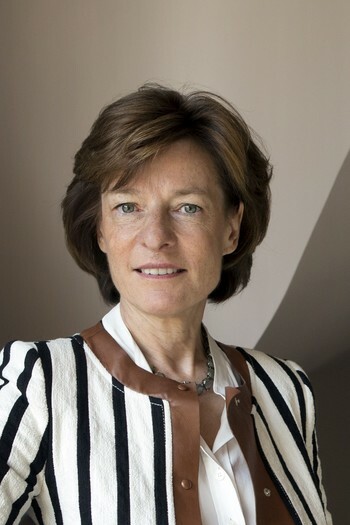 Patricia served as a qualified independent member on the Boards of PSA Peugoet-Citroen, Air France-KLM and Groupe Bouygues, as well as Chairwoman of the Fonds Stratégique d’Investissement Investment Committee until 2013. She graduated from ESCP-Europe Business School in 1976.